The authors book: How-to write your own prospecting script. How to write a sales script is the book that the author wrote about writing prospecting scripts. 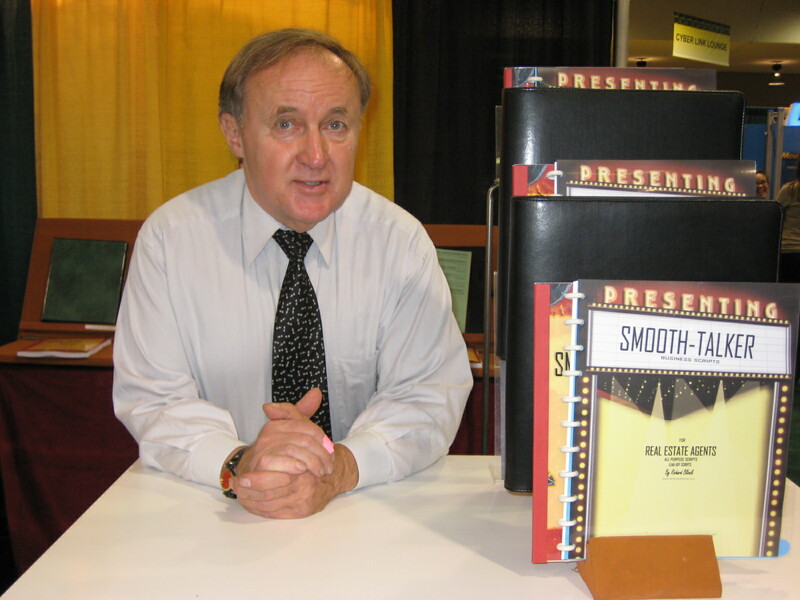 "Smooth-talker, How To Write A Sales & Prospecting Script" is a book by Richard Bliznik. It contains everything you need to choose the right words for prospecting for new business. You are in the "words" business regardless of what profession you are in or what product or service you sell. You may ask yourself just why I need another "How-to" book to add to my collection! The book has 220 pages and contains everything you need for writing your own prospecting script. I wrote a book as a result of 38 years of experience in sales. After 20 years of being a real estate broker, sales manager, and trainer for a 60 agent office, I realized that salespeople resisted make prospecting calls. Fear of rejection was the reason. The reason was not having a permenent script to remember what to say to a prospect. The next twenty years, of my 40 year career, was spent in the front lines of real estate, mortgage, financial services, and product sales prospecting where I developed the scripts that I offer. A book that will make you a lot of money .. period! This book has the sole purpose of how-to write a sales script that will help you make more money .... period. A least it will save your selling career. It's almost written in stone that to be a successful salesperson you must make prospecting calls for getting new business. Why I wrote the book. How-to books about prospecting scripts has seldom been written because the people who write books have never really been on the front lines of prospecting for new business. I wrote How to write your own sales script for salespeople because I have been struggling with what to say when making prospecting calls ever since I got into real estate in 1970. I decided that I would make it my mission to teach you how to write sales script and bring the cost down to an affordable level. My goal was to make sure that even small business could afford propecting scripts and sales scripts. high quality a prospecting scripts and at reasonable prices that anyone could afford. I couldn't find any books on prospecting. Over 30 years later, I still find that there are no books to refer to about writing a sales script. I researched the University Of Michigan library (which has over 1,000,000 books) and I continue to discover all kind of books on selling and marketing but little, if any, on what to say to a prospect. We only remember the "essence" a book. How many times have you read a book and felt you were ready to tackle the world only to discover that all you can remember is the “general idea” of what the book was about. The fact is that we retain a fraction of what we’re exposed to. The only way to retain something is through constant repetition. The best way is to write it down and read it repeatedly until committed to memory. Even then, constant repetition wouldn’t work for long wordy passages. There is a great need for books on writing sales and prospecting scripts. There is a need for affordable books on how to write a prospecting script that are written coherently and effectively. Without a book on how to write a sales script an important factor will be the cost for most businesses. You may have an urgent need for a book on how to write a sales script but do not have the money for custom scripting and business scripting consulting. Even if you could find a script consultant to help, producing a sales script would require too much time and money. The book is in it's second printing. The book was so successful that a second updated printing has been planned. The second printing it is written for all professions and types of business. It will apply to all prospecting situations. We have found that "prospecting is prospecting" no matter which type of business or profession you are in. Very few books are written about sales scriptwriting. There are very few books that are written that can help you write a sales script. There is a need for affordable books on how to write a prospecting script that are written coherently and effectively. You may have an urgent need for a book on how to write a sales script but do not have the money for custom business scripting. Even if you could find a busines script consultant to help, producing a sales script and prospecting script would require too much time and money. Using a "color-code" when writing a script. A key element was a way to identify each page of the script with a color-code so a salesperson has an organized system and a place to add their own “good stuff.” Everyone has their own “tried and true” one-liners that always seem to work. Most salespeople say they are too busy to learn how to write a sales script. Too busy at doing what? When doing research for how-to write a sales script, we learned that almost everyone "forgets most of what they read. Us mere mortals have to find something that will solve the problem of remembering that which we read. It results in not being able to remember the right prospecting words when we need them most. Because very few people were gifted with extraordinary memory skills, the only alternative is to find something that will do the remembering for us. It would therefore have to be a tool that not only compliments our memory ability but can be a device to substitute for it. The average person has a limited memory. The average person forgets half of what they heard within an hour. After 24 hours, they can remember less then 15%. Three days later they can recall less then 5%. It takes 21 days to form a new habit. It's also true that it takes the same amount time to break an old habit. In the case of using a new phrase or line of sales dialogue you're actually replacing "old with new." You accomplish both at the same time, learning something new and breaking an old habit. I'll assume that like most everyone, you want to improve your word skills and speaking skills. 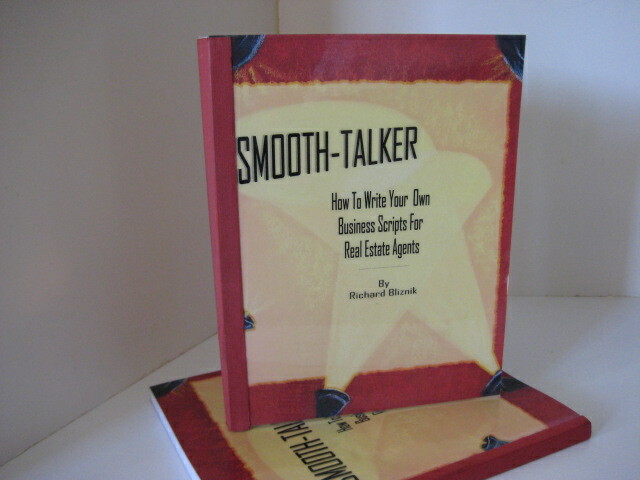 The sales scripts were written as a result of a 35 year career as a owner & trainer of a real estate company. Along the way I was a mortgage originator, commercial real estate salesman, and a financial services salesman. The similarities of prospecting scripts for business develelopment for all types of professions became apparent when I developed the color-coded modular scripts. 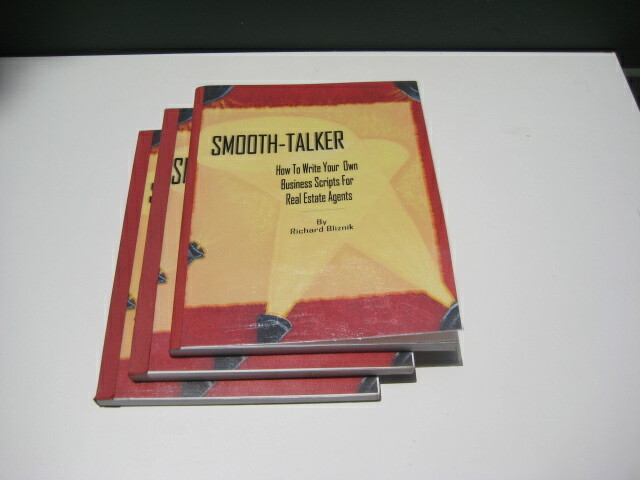 I am not a "smooth talker" but the scripts I wrote will enable you to talk "smoothly" without sounding like a canned presentation. Effective techniques of script writing. An idea or thought can be expanded several different ways to express it with words. Write the idea in its simplest form and narrow it down to a single meaning. Another technique of how to write a sales script is "sentence combining and sentence condensing." Look for sentences that are similar to each other or that essentially duplicate their meaning. By sorting and arranging the sentences that are similar in topic and content together, you will reveal common words and duplicate meanings. Many of the sentences that you write will have similar meanings. A book about writing sales scripts has seldom been written before. It's a book about writing sales scripts. Because the people who write most books have never really been on the front lines of prospecting for new business. It's written for easy reading with the words that salespeople understand.